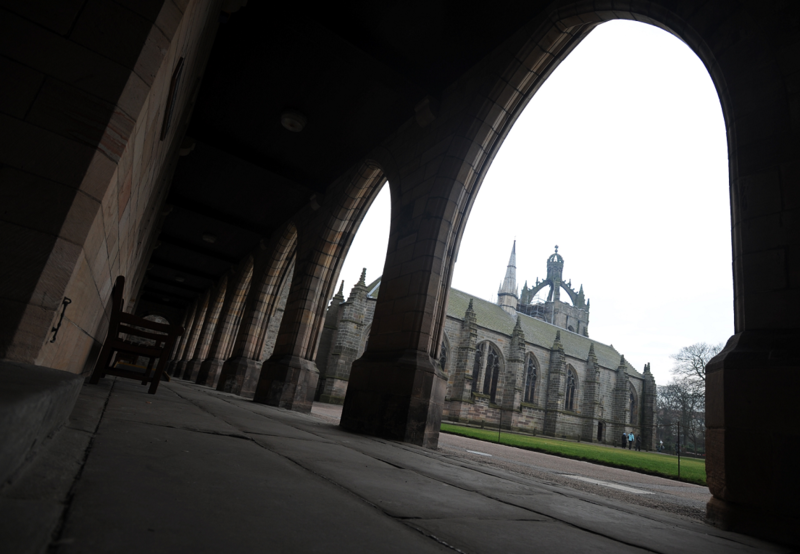 Aberdeen University’s winter graduations culminated with two evocative ceremonies yesterday. Jo Strathdee seems comfortable dealing with stress or having the weight of the world on her shoulders. Upon receiving his honorary degree in yesterday's ceremony, Lord Darling had both words of wisdom for new graduates and fond memories of his alma mater. Graduates at Moray College UHI have been urged to use their new qualifications to “inspire” others to reach their potential. A marine scientist has become the first person to be awarded a University of the Highlands and Islands’ Master of Science by Research Degree. An Inverness graduate is hoping to use new his degree to brew up a storm in the Highlands. Bestselling author Stuart MacBride has revealed he was “very chuffed” to be presented with an honorary degree. A newly-qualified teacher who suffered from crippling anxiety and depression has thanked university staff for helping her achieve her goals. A Forres woman had double cause for celebration at her graduation yesterday, after being commended for her essay into a movement which sought to put Moray’s whisky trade on ice. A record-breaking 67-year-old powerlifter from the Black Isle was just one of the award winners at the Inverness College UHI graduation ceremony yesterday. Aberdeen University law lecturer Malcolm Combe takes the view that every student who graduates is another success story to be celebrated. A new generation of graduates bid farewell to student life yesterday as they gained degrees from Aberdeen's most ancient seat of learning. A law graduate was the youngest of three sisters to receive her degree yesterday while her proud siblings watched on. Sport becomes a major part of university life for many students and netball fanatic Maxine Walker admits it has been one of the highlights of her university career so far. One of the world's most successful solo percussionists was recognised at Robert Gordon University's graduation ceremony yesterday with an honorary degree of Doctor of Music. A woman inspired to take up nursing after caring for her grandmother was among students given degrees yesterday. Nursing isn't just a job, but a life's vocation for Nicola Brown. A RAF reservist from Inverness, who completed a tour of duty in Afghanistan in the midst of his studies, was one of many Robert Gordon University students celebrating academic success yesterday. The frostbitten King's Lawn glistened in the autumn sun as hundreds of graduates arrived at Aberdeen University's historic campus. Judy Murray was recognised for her contribution to Scottish sport today. It hasn't been an easy ride for one RGU student, after moving back from the other side of the world to discover his brother was ill.
One north-east graduate was all smiles yesterday as she fulfilled her dream of graduating from university. One highlands graduate yesterday proved it is never too soon to start a career, after leaving home at just 17-years-old to peruse her education, and a job.